It’s a tough question, but let me try and answer this one for you. For starters, Rocco and I have common friends, it’s a small world but it wasn’t up until I got to cover events in GMA that I’ve had the opportunity to actually talk to him. I’m no stranger to the people from the network but it was actually rare for me to know artists from this channel on a personal level, let alone to meet his family on some instances. So when I do I try to write something a little more personal and whip out something that would rather better describe the guy adored by thousands of people here and around the world. I’ve tried to look up the first time I had an interview with him, prolly around early 2010 if I’m not mistaken. He was a bit reserved, but you could already see how much star factor he had early on right after winning 2nd Prince on the reality show they were in the 5th season of Starstruck. Even then, he struck quite a number of shows and continued on to have an illustrious career in GMA. In a way, he worked his way to be one of the network’s prime leading men opposite some of the industry’s best. I remember, I’ve always been trying so hard to take photos of him during Bench shows because I felt it was my way of saying thanks because he was really so nice to me everytime we meet. I felt like what a friend would be, he was really nice and always have been cool, very cordial, and I don’t feel that way with some huge stars. He’s that kind of a person and for me that’s not quite common. Until now, I treasure that, no matter how assuming or corny that sounds. 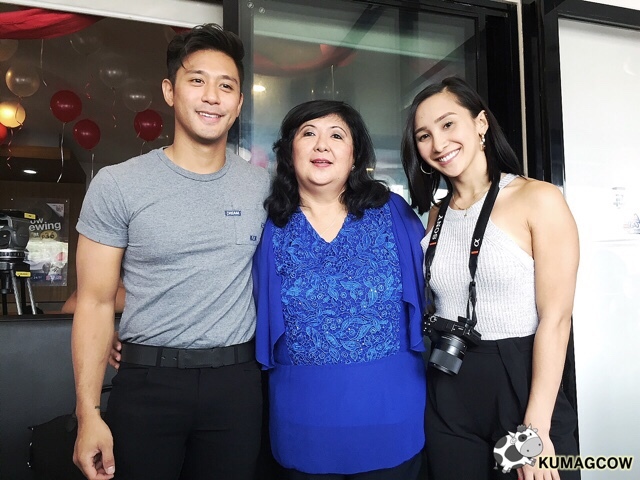 Rocco recently celebrated his birthday at his restaurant Rufo’s in Timog Avenue in Quezon City. 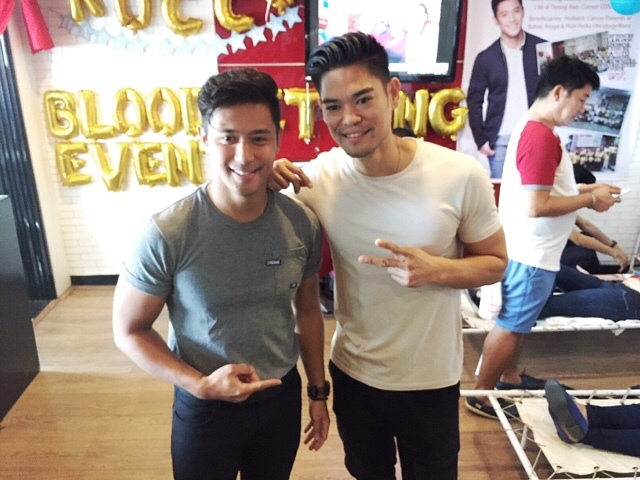 Thank you to Bench and his sponsors for supporting such a noble cause! His mom told us that it’s been a tradition in their family to actually do something worthwhile when their birthday comes because they teach their kids the value of the good life they have even at an early age. When Rocco wasn’t even in showbusiness back then, they held charity events, give Christmas gifts for the less fortunate which I think has made them humble even now that he is very successful. 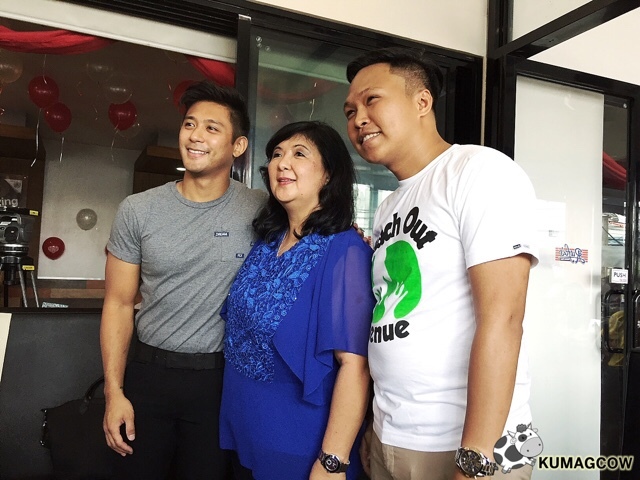 Tita Linda Nacino, Rocco’s Mom is also a Cancer survivor. 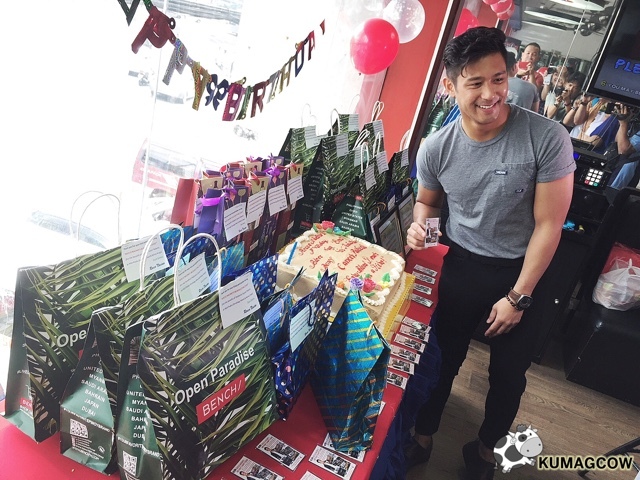 They know how hard it is to actually get treatment, or have the things you need to survive if you had this condition, so they arranged this Blood Letting program during his birthday celebration last week. 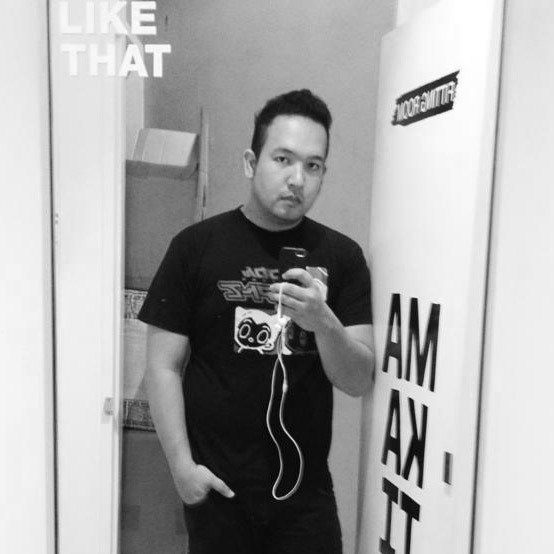 Rocco is a registered nurse, also just recently passed his Masters with Cumlaude honors (to his folks delight) so he knew it was the opportune time to help the pediatric patients at Bahay Aruga (a charity he’s been helping) and also the PGH Pedia Oncology Ward who they have also helped in the past. 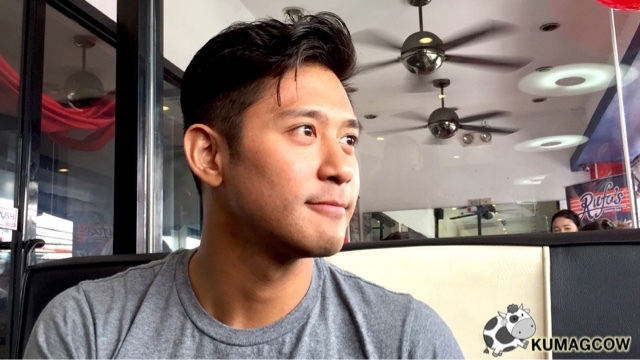 Here’s our interview with the good looking man that afternoon. 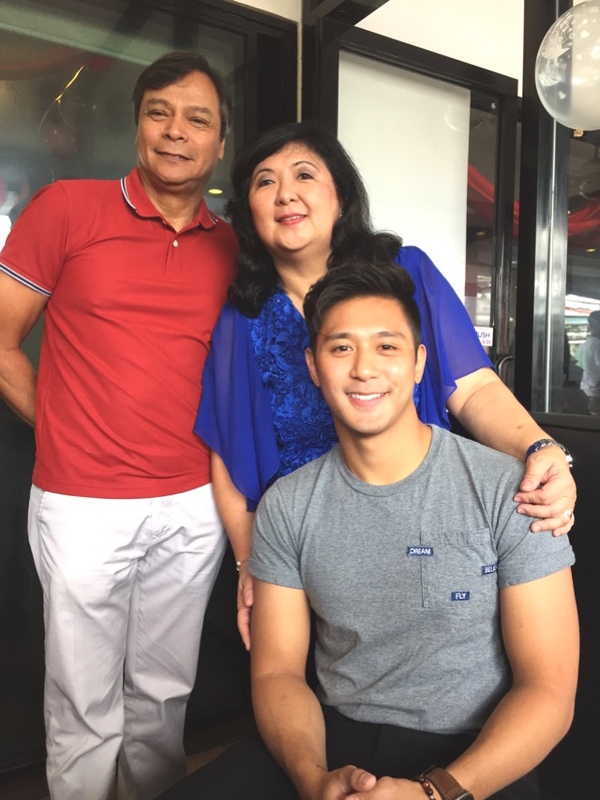 We also talked to Ms. Linda Nacino, the proud Mom of Rocco. Now who in the right mind wouldn’t love a guy that excels in just about anything that he’s in? He’s an all around athlete, a model, a nurse, an actor, a businessman, a good brother to Kyle, a very good son, if you would allow me to continue we’ll spend half a day with his accomplishments and it’ll never be enough, he’s remained so humble after all these years, he’s never even gotten all the stardom get into his head and is one of the most eligible bachelors in the country. So to answer that question I stated earlier and the qualities I mentioned, why even ask? He’s a good man, period.